When creating a video, navigate to the Style tab to find all your customization options. 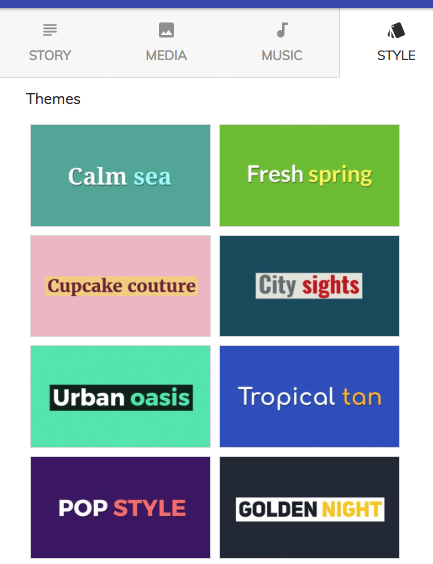 All themes are available to users on the Community Plan. You can further customize these themes by upgrading to the Lumen5 Pro Plan and above.